On his way up? A great showing at Nashville in many ways should have the Nascar teams hot on his trail. The standout ARCA and midget driver has it all, driving ability, communication skills with the crew chief and the media, and very sponsor friendly. Fans of all ages just love him. He is a perfect fit for a Nascar team. 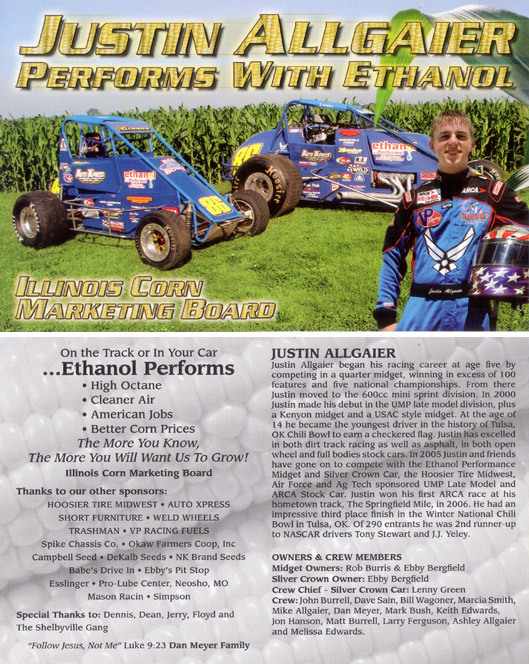 Go to his website www.justinallgaier.com.